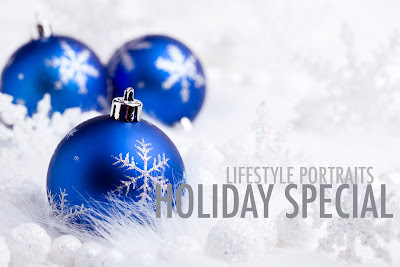 We're offering an early-bird Holiday Special for families who might want to have their portraits done in time for, well - you know - the Holidays! Schedule your appointment by November 15, and you'll receive 25 free Holiday Photo Cards. Also, if you call by November 1, we'll give you a 10% discount off the session fee! We only have a limited number of spots available, but we'd love to fill one of them with your family!